Because I need to test on various brow products, I ended up having different-looking brows every now and then and I welcome the change! 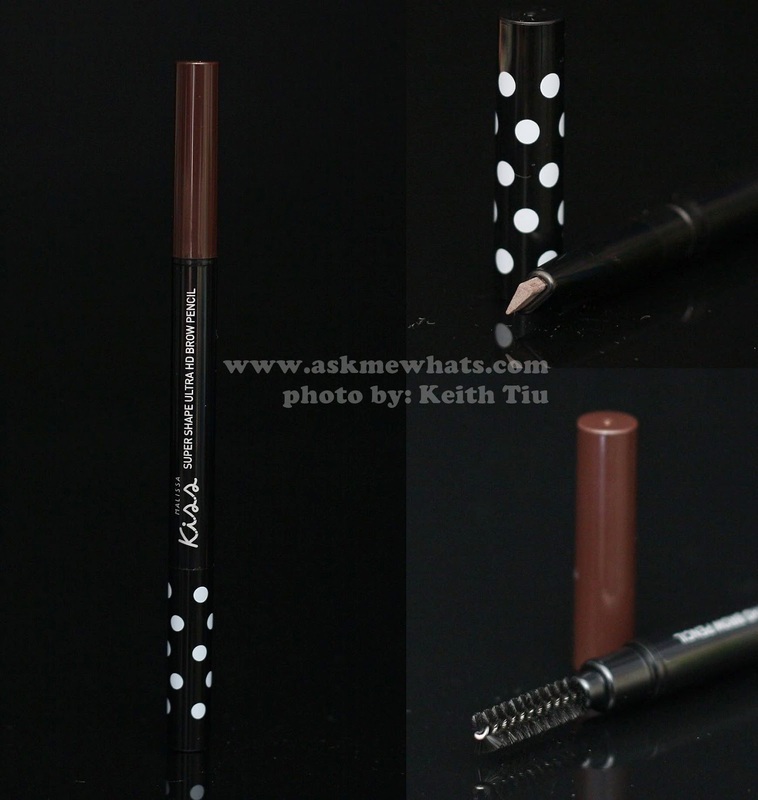 I recently tried an Eyebrow Pencil from the brand Malissa Kiss and for a new brand, I am surprised to admit ---- I LIKE THIS A LOT! And can I just insert "from a startup brand"? Malissa Kiss Super Ultra HD Eyebrow comes in! Malissa Kiss doesn't offer a lot of makeup products as of the moment and I'm glad even though the brand concentrates more on skincare, they still came up with 2 shades for their brow pencils. 01 Choco and 02 Mocha. Looking for an eyebrow pencil that is waterproof and stays on all day? Try the Malissa Kiss Super Shape HD Brow Pencil! Our retractable crayon pencil has a unique triangular tip which helps you fill in your eyebrows perfectly! Available in Mocha and Choco. Triangular tip making it easy to use. Price. Super inexpensive for the quality. Comes in 2 shades that works for most Filipinas. The effect is very natural. Long-lasting, until make-up removal in my case. 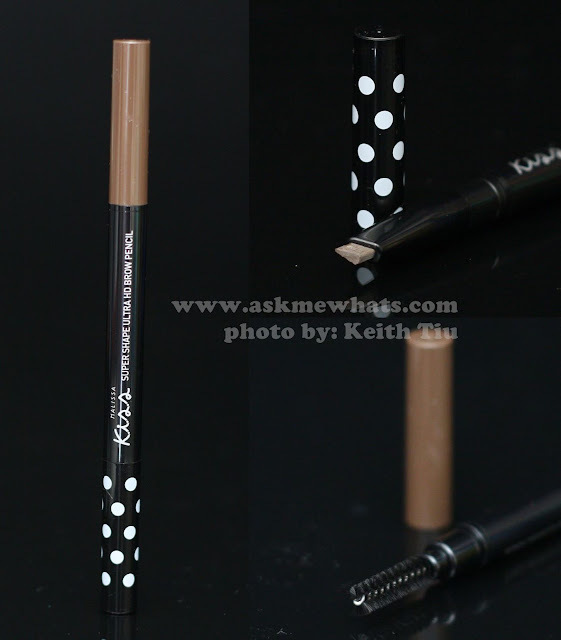 Very natural-looking brow pencil that lasts long at at affordable price. Purchase as early as NOW since they are still on introductory price Php280.00. The retail price will be Php350.00 each once the brand officially launches in the Philippines. 01 Choco for dark haired while 02 Mocha if you have lighter colored hair. Brush eyebrow hairs with spoolie before you start drawing to keep brows neatly in place. Always start application from the center of the brows for more natural look. Retail price once Malissa Kiss is officially launched in the Philippines is Php350.00 (approx $7.95). Please email them to know where to purchase as they are just official launching and will be available in department stores and cosmetic counters soon! What I love about 01 Choco is that, it is a medium "real brown" shade without red tint! 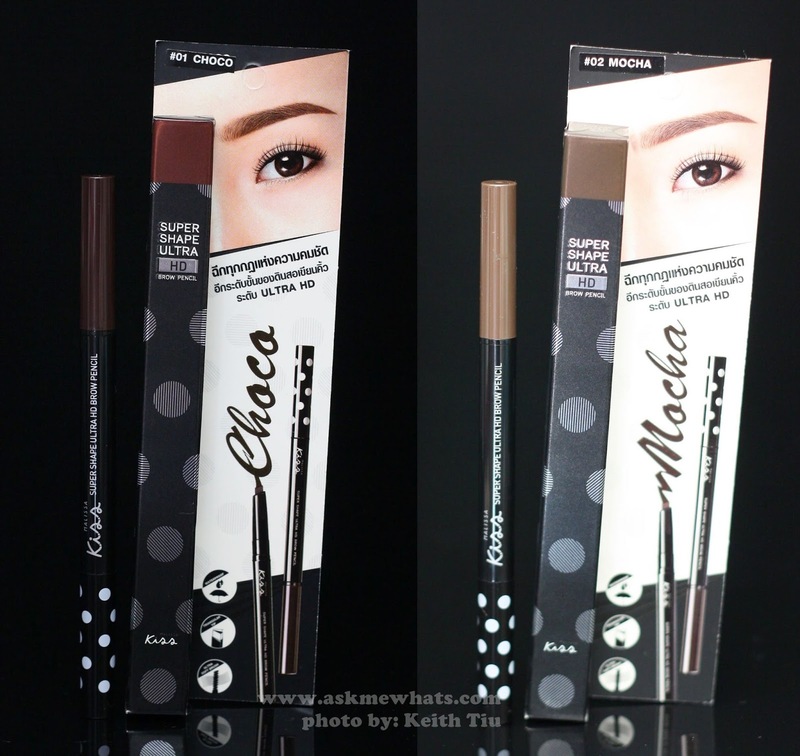 I can actually get away wearing choco even with colored hair and maybe, apply a bit of a light brow powder or brow mascara just to lighten my dark brow hairs! 02 is actually a perfect shade for me, for the first time, I can use this without following up with a brow mascara because it can lighten my dark brows and keep it that way until makeup removal. 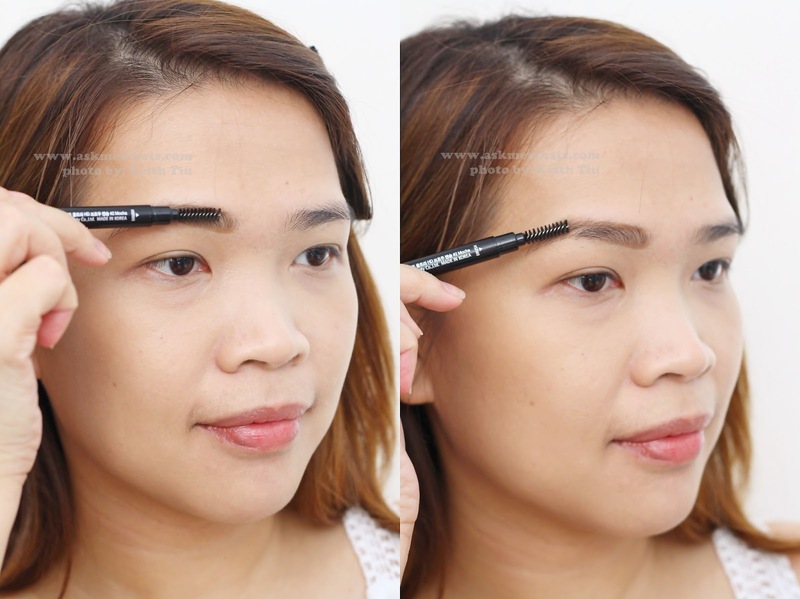 With short strokes, I start at the center of my brows filling in sparse areas following the natural arch of my brows. If you are a fan of "Korean-straight brows", using brow pencil is the easiest tool to change the shape of your brows. Once you reach the inner corner of your brows, shift the direction of the way you apply to Upward motion , same as the direction of the growth of brow hairs. To lessen some of the pigments and to prevent you from looking like a "cartoon character", use the spoolie side and brush off excess pigments. How do you like the effect of Malissa Kiss Super Ultra HD Eyebrow in 02 Mocha on me? How do you find their price points? 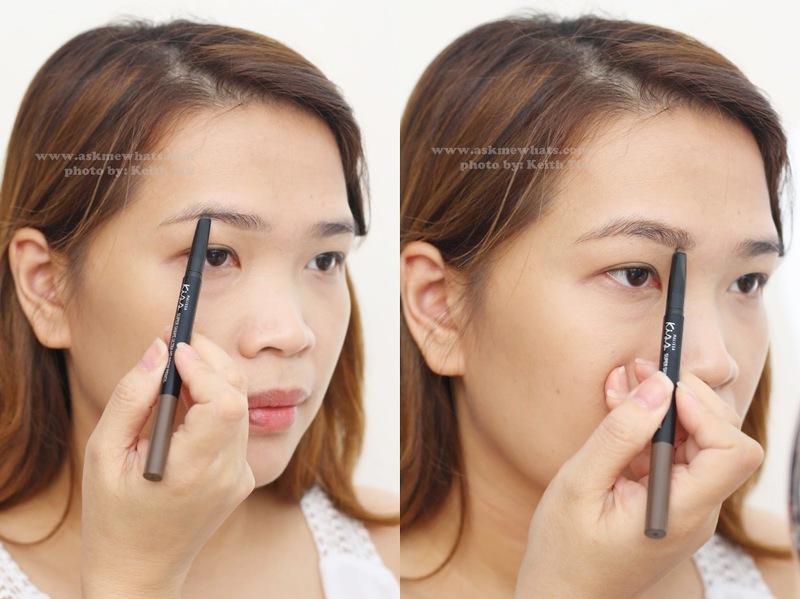 Hindi po ako masyado mag apply ng eyebrow pen medyo pasmado po kasi yung kamay ko! Yan po yung problem ko yung eyebrow ko sobrang kapal ng hibla para Kong si wolverine. ahh mas mabilis ang pen if pasmado ka! I like the of Melissa eyebrow 02 mocha bagay po sa inyo and very affordable compared to inglot and k-pallete bibili din ako nyan mamaya (agad agad) sana bumagay din saken!!! Lol!!! Btw Where can I buy nga pala? By online lang po yan? thanks! I agree, very affordable, I think they will be available in stores na like Watsons or sm beauty, etc..!